Flair Smart Vents now work with ALL thermostats! 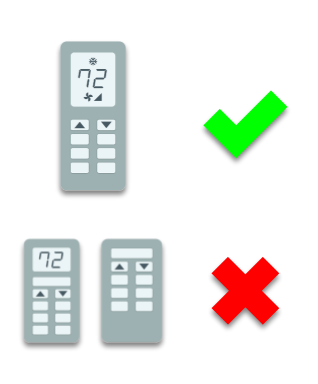 Flair now works with all thermostats! Flair will help balance temperatures throughout your home by automatically adjusting your Smart Vents based on temperature. Part II of our interview with internet inventor Leonard Kleinrock! When Professor Leonard Kleinrock, one of the early pioneers of the internet, contacted us with questions about the Flair Puck, we were thrilled. Here was one of the inventors of the internet, contacting us with questions about Pucks and Smart Vents! We knew we had to ask him a few questions about the Internet of Things (IoT). When Professor Leonard Kleinrock, one of the early pioneers of the internet, contacted us with questions about the Flair Puck, we were thrilled. Here was one of the inventors of the internet, contacting us with questions about Pucks and Smart Vents! We knew we had to ask him a few questions about the Internet of Things (IoT). Batch 1 and 2 Sold Out—Reserve Now for Batch 3!